Mike & Alex taste and discuss Riazul Tequila Reposado. 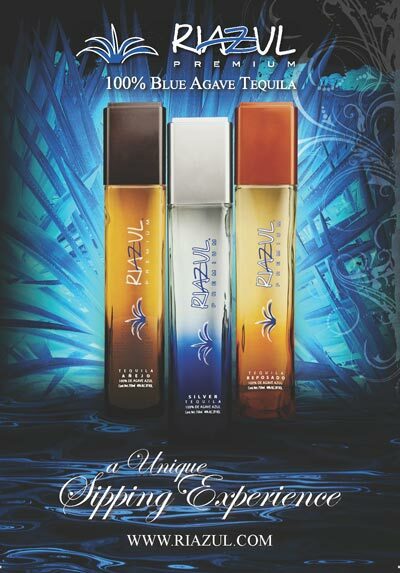 Find Riazul Tequila online here. Riazul Tequila on Facebook and Twitter. On Saturday, March 28, at 7:00 PM Central Time, the Tequila Aficionado 2014 Brands of Promise Award Winners will be announced LIVE online on Google Hangouts. Click here to go to our event page and feel free to post questions prior to the event. The Tequila Aficionado Brands of Promise Awards were our response to a secondary industry that has sprouted up around awards programs in the spirits industry. In a very much pay-to-play world, Tequila Aficionado has changed the game. Every brand that we review (free) each year is automatically entered in the Brands of Promise Awards at no cost. We nominate the brands that stand out among their peers and judge the nominees at the end of the year. The winners may just surprise you. Join us for the live broadcast of the 2014 Brands of Promise Awards on March 28, 2015 at 5pm Pacific/7pm Central as our hosts M.A. “Mike” Morales and Alexander Perez share the Tequila Aficionado picks for the Platinum, Gold, Silver, and Bronze in the 2014 Brands of Promise Awards. Find out more about the Brands of Promise Awards here. See the full list of 2014 Nominees here. RSVP for your front row seat here.